Elzabeth Prosser Sternberg was born in Bristol, like her sister, my great grandmother, Alice Plucknett Sternberg, but spent most of her life in Birmingham. Her father died when she was fifteen, leaving a family of three boys and five girls. I know that Alice had to leave school at fourteen to help to support the family and I assume that Elizabeth did the same. John Williams is missing in the 1881 census and I think I have located him in Birmingham General Hospital as a patient. 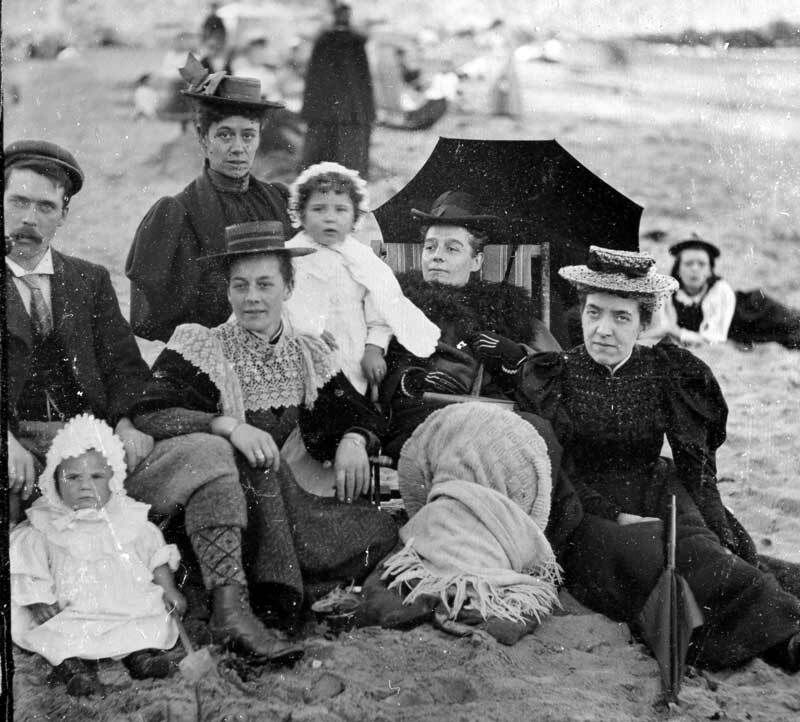 In any event, he died in the 1890s, leaving Elizabeth widowed with the three sons who all joined the family trade of tailoring and it appears to have been a profitable business, since they lived in some style in Kings Norton, an expensive residential area of Birmingham in Victorian and Edwardian England. I do not, as yet, know much more about this branch of the family, partly because Williams is a common surname and produces lots of choices. I would be grateful for more information about what happened to Francis, William and Sydney. There is a family rumour that one of them went to Egypt and disappeared ! After some research, I now have some futher information about William Victor and Elizabeth. WV was petitioned for divorce by his wife May (née Oldbury) in 1924. They had married in 1911.when she was 24. A son Arthur Oldbury Williams was born in 1911 in Kings Norton. Elizabeth died from ovarian cancer on 3 June 1918 in Edgbaston, she was 63 and still a widow. It seems that the Williams brothers were very keen on patents. Abstract of GB155036 155,036. Williams, W. V. Sept. 13, 1919. Beer pumps.-The lever of a beer or like pump is connected to the piston-rod F of an air-pump A pivoted on an arm B, so that, when the lever is depressed to draw off beer &c., a jet of air is delivered by a flexible pipe D and nozzle C on to the surface of the beer. Where a number of beer pumps are in use the pump A may be replaced by a compressed-air main connected to the nozzles C and provided with taps actuated by the beer engines. I have written already about the ancestry and descendants of Francis George Sternberg who was born in Lüneburg in 1761 and was my 4G Grandfather. This post will be more about those Sternbergs who are not my direct ancestors, but about whose lives and relationships I have information and indeed continue to learn, mainly through contacts via the internet. This, I believe, is a growing and important way of exchanging history and background. It is so much faster and responsive than traditional library research and communication. With this in mind, I am eager to hear from anyone who has information about the Sternbergs and related families. I should mention that by ‘the Sternbergs’ I mean those connected with Francis George and his descendants who branched out from Northampton area in the nineteenth century. Many Sternberg families, particularly those in the USA are the result of migration from Eastern Europe and Russia and appear to have no link apart from the same name. On which note: where does the name ‘Sternberg’ come from ? 1) German – habitational name from any of various places so named all over Germany. 2) Jewish (Ashkenazic): ornamental name from German Stern ‘star’ + Berg ‘mountain’, ‘hill’. The first of these seems to fit, There is for example a village called ‘Sternberg am See’ (Sternberg on Sea/Lake) about 80Km east of Lüneburg on the shore of the ‘Grosser Sternberger See’ and there are many more examples of the place name in North Germany. Whatever the origins of the name, the Sternberg family was established in Lüneburg with strong musical connections from at least 1716 when Heinrich Sternberg is first recorded. Heinrich was Musician at the Monastery School in Lüneburg from 1716 to 1734 and Town Musician (Ratsmusikant) from 1734 to 1757. He married Anna Catharina Otzmann on 14 November 1719 in St Michael’s Church, Lüneburg. This is now the focus of a Bach Festival, since Johan Sebastian Bach studied at St Michaels Monastery school from 1700 to1702 as a choirboy and later played the church organ. It is quite possible that Bach and Heinrich Sternberg were acquainted. Furthermore, when Heinrich’s daughter, Hinrietta was baptised at St Michaels on 3 December 1733, one of her Godparents was “Capellmeister Telemann”, the famous composer. 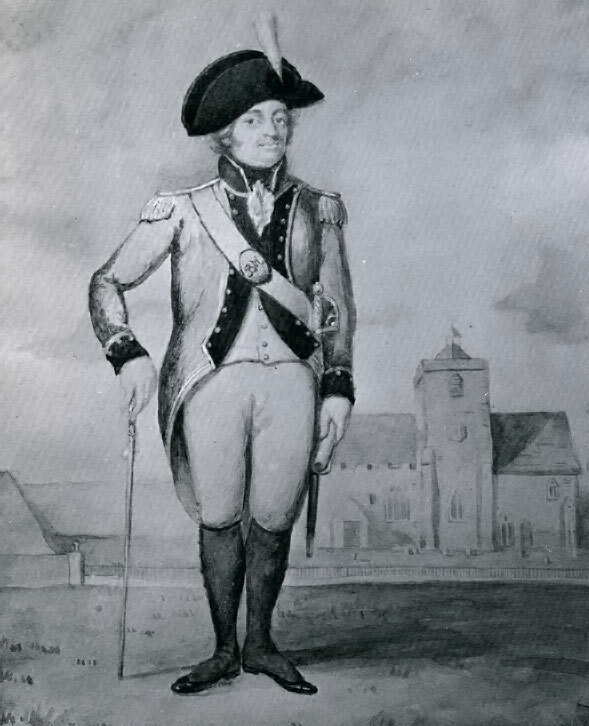 Heinrich’s second son, Hartwig Sternberg succeded him as Town Musician in 1757. He is my ancestor who came to England and enrolled as a trumpeter in the Royal Horse Guards Regiment in 1786 and established the branch of what I refer to as ‘The English Sternbergs’. Since the marriage certificate of his son George refers to his father as ‘George Sternberg, Professor of music’, it is fair to assume that George was the name by which he was commonly known. Frances Furnivall was the daughter of Sergeant Major Thomas Furnivall of the Bedfordshire Militia. He was appointed Sergeant in the Leighton Buzzard Company when the county militia was raised in March 1760 during the Seven Year’s War, and was promoted Sergeant Major in April 1779 during the war with America. He died in Bedford in March 1800. 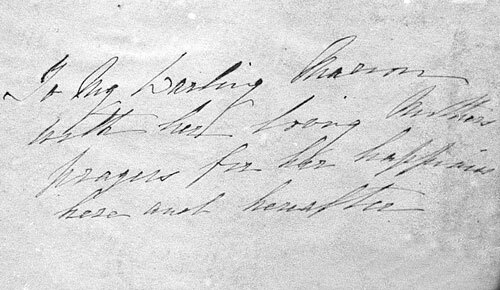 So it seems likely that Francis George Sternberg the young musician was befriended by (or billeted with) Thomas Furnivall, his wife Elizabeth and their family in Bedford in 1788 and that a relationship between FGS and Frances led to marriage in October 1789. FGS is recorded as a ‘widower’ on his marriage register entry at St Mary’s Church, Bedford, but no record has yet been found of his first marriage or indeed the name of his first wife. FGS and Frances had ten or eleven children. This tree shows how I am descended from them. It is, of necessity, simplified since many branches had lots of children ! Not shown on this tree is William Sternberg. William is a bit of a mystery, since no record of his birth has yet been found. It is possible (and I believe, likely) that he was FGS’s son from his first marriage. He appears in the records only after 1820. William’s business, as a gilder, was located at Bradshaw Street, Northampton in 1823-4. Bearing in mind that my 3G Grandfather George Sternberg (FGS’s son b 1798) was a carver and gilder, it seems highly probable that William was related. I have, for the time being, left William out of the main tree until more is known about his parentage. Another pointer to William not being the son of Frances (Furnivall) is that Thomas Furnivall Sternberg, born in 1791 was clearly named after her father and that would suggest that Thomas was her eldest son. Following the child’s presumed early death, their next son was also baptised Thomas in 1794. What is more, Eizabeth Furnivall Sternberg, born in 1793 was given the name Furnivall too, so it seems unlikely that William really was a Furnivall grandson. In the 1861 census Elizabeth Sternberg widow, mantle maker, is living in Barnstaple with daughter Amelia E.R. age 24 Elizabeth’s birthplace given as Yorkshire. Amelia is a milliner, born at Bolton le Moors, Lancashire. In the 1871 and 1881 censuses, Elizabeth Sternberg is, sadly, a patient in the Devon County Lunatic Asylum at Exminster. She died in 1884. 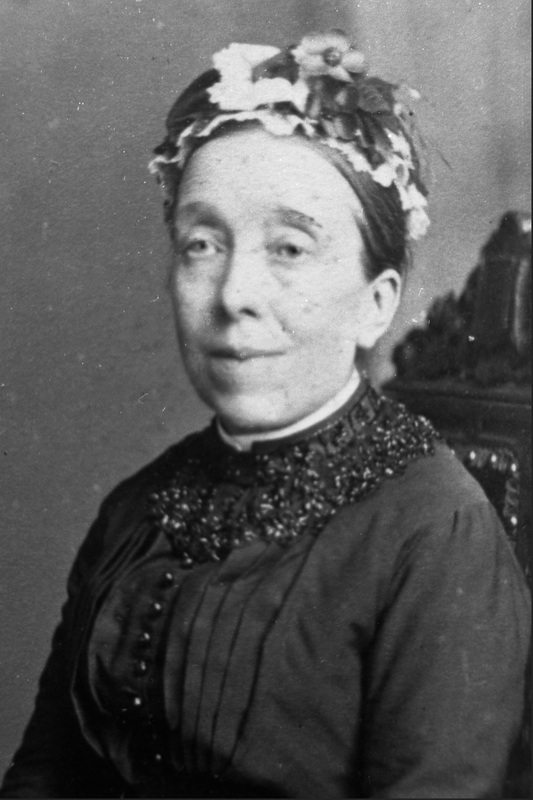 Amelia married Stephen Henry Wadham in 1876. 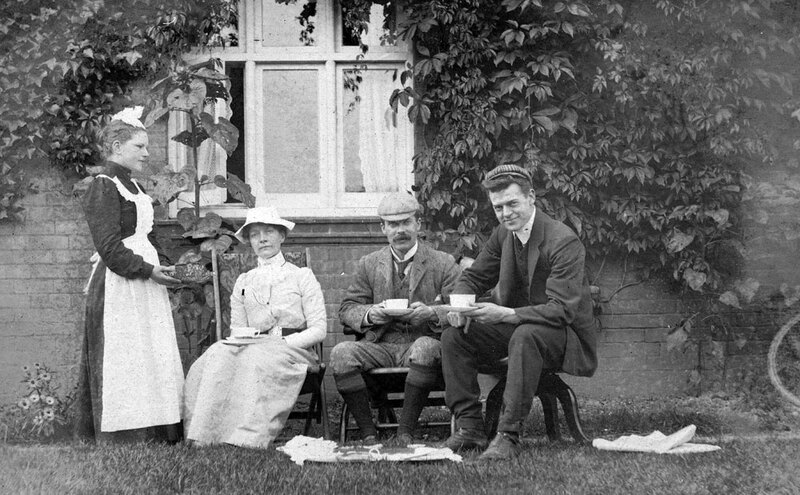 Stephen was a widower and he and Amelia were living in Barnstaple at the time of the 1881, 1891 and 1901 censuses. They do not appear to have had any children, this is, perhaps not surprising, considering the fact that Amelia was almost forty when they married. The couple did however have a reducing number of Stephen’s children living with them as the decades progressed. Yorkshire. Amelia is a milliner. In between the two Thomases were born Elizabeth and Rosina. Elizabeth Furnivall Sternberg was born in 1792. In 1837, Elizabeth Sternberg, whose marriage certificate gives her (deceased?) father as ‘George Sternberg, Musician’ married William Rose, a printer, who was a widower and son of James Rose, gentleman. Elizabeth was therefore forty five at the time of her marriage. They seem to have moved from Newport Pagnell to Portland Place area of London in both 1851 and 1861, but Elizabeth has changed her place of birth to Birmingham. George, Frances, Frederick, Amelia, Caroline and Samuel Hartway (an anglicised version of Hartwig, the name of FGS’s father ?) followed between 1798 and 1809, but Amelia died at the age of five in 1810 and Samuel lived for less than three months. There is no further record of a Caroline Sternberg, so she may have died in infancy. Rosina Sarah Sternberg was born on 11 June 1793 in Northampton. She was baptised on 30 June 1793 in the church of St John, Bedford. A second baptism took place on 22 January 1794 at St Giles, Northampton. On 28 July 1842 Rosina married William Amerson, a tailor, at All Saints Church in Northampton. They appear to have had no children. In the 1841 census she is living at Woolmonger Street, Northampton which was also occupied by eighty year old James Rose, presumably the father of her brother in law, William Rose. She was married in September 1826 to George Carver Cuffley, in the presence of Francis George Sternberg and John Wright. Frances and George do not appear to have had children. 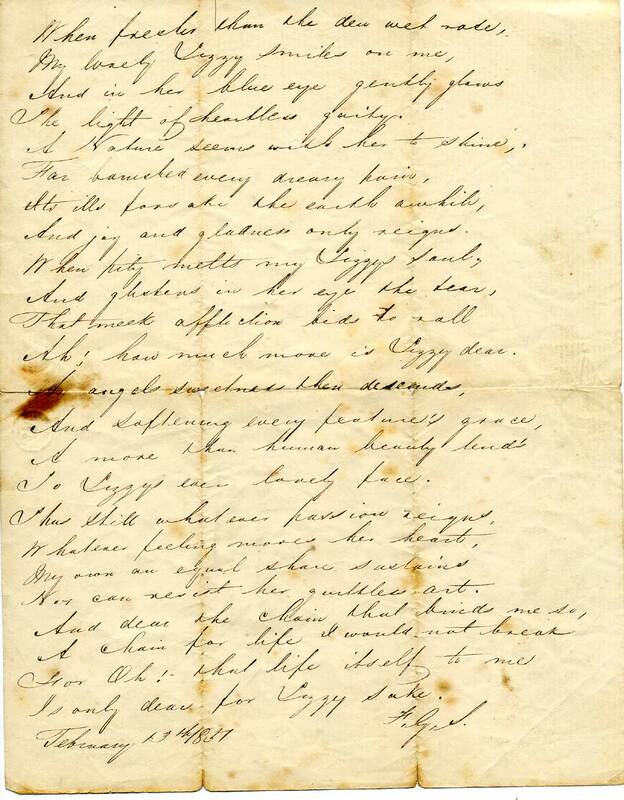 Sophia Sternberg was born 1 December 1801 in Northampton, and died 15 June 1874 in 8 Heaton Road, Peckham, Surrey. She married Alexader Viner, who was described as a Wine Merchant and Gentleman on 15 December 1825 in St Margaret, Leicester. He was born 1802 in Oxford, and died 24 September 1862 in Walthamstow. Essex. Thomas Sternberg, born in 1794 was, I originally thought, the likely author of ‘The Dialect and Folk-Lore of Northamptonshire’, published in 1851. I had no definite proof that the author was the same Thomas Sternberg, but the combination of the name, plus the unlikely coincidence of there being two Thomas Sternbergs of the right age and background in Northamptonshire in 1851 pointed decisively to that conclusion. However, recent correspondence with Stephen Miller, an expert on Folklore writing, has revised this assumption. There was a second edition of ‘The Dialect and Folk-Lore of Northamptonshire’ also published in 1851. The author’s name on this publication is Vincent Thomas Sternberg, Thomas’s son, born in London in December 1831 (see more below). Vincent would have been only nineteen in 1851, so clearly displayed a precocious literary talent at an early age . I am pleased to say the I have obtained a copy of the book, which I believe is out of print. There is, disappointingly, no reference to Sternberg’s family, but he alludes to German and Scandinavian influences at many points, commenting that one particular story is almost word for word the same as the German version by the brothers Grimm. This suggests that Thomas had a detailed knowledge of the German language, which would fit well with having a German born father. Took over his father’s Pianoforte Selling and Tuning business in 1828, but disposed of his pianoforte tuning to a Mr Klitz in August 1841 . He and his wife were married ‘in the presence of John Whitton Scriven, Edward Pretty, Elizabeth ? ; they lived at 65 Abington Street in 1851. Bankruptcy recorded in ‘Times’ of 2 August 1856 (cf. 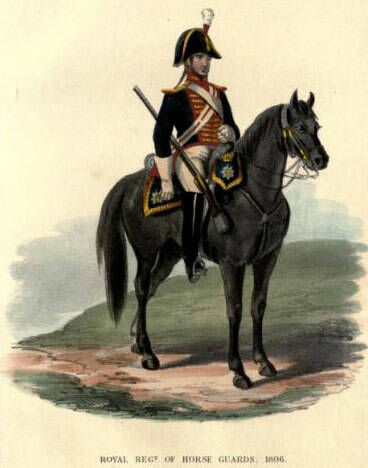 24 May 1848). Address given as 20 Abington Street in cutting from Northampton Mercury on 18 September 1858. A later correspondent says they occupied a house on the site of the present Post Office (N I? Chronicle, 25 August 1900). Thomas and Elizabeth (née Scriven Kirby) produced a line of no less than four Vincent Sternbergs. The first of these Vincents, Vincent Thomas Sternberg was born in London in 1831 and became Librarian of Leeds Library until his death in 1880. Vincent W. B. Sternberg (William or Bill) became a journalist and was London and political editor of the Yorkshire Evening Post. The arrival in England of Francis George Sternberg in 1786 has led to some seventy five people being christened with the surname ‘STERNBERG’ plus many more who have adopted the name upon marriage. As far as I am aware, the last of these ‘English Sternbergs’ was born in 1954 and the last person to die still using the surname was Ella Marion Sternberg, born in Birmingham in 1894 and died in Felixstowe in 1985 at the age of ninety. Many have lived well into their eighties and nineties. I was fortunate enough to meet ‘Aunt Ella’ a few years before she died. Her father was the third Francis George Sternberg. It is fascinating to reflect that all of us have this family history because of one man’s journey across the North Sea. Elizabeth Plucknett was the daughter of Thomas Loaring Plucknett and Harriet (née Tootell). She may have been born in Thorverton, but her mother Harriet was from Exeter and Elizabeth’s address at the time of her christening was Cowick Street, Exeter, in the parish of St Thomas the Apostle. She spent her early years in Thorverton, but her mother, Harriet died when Elizabeth was 12. Harriet had at least six children, but only Elizabeth and Emma (b 1832) survived beyond childhood. Her father Thomas remarried a few months after Harriet’s death. His second wife was Emma Babbage and they had three further children. It may be that the relationship between the two older girls and their stepmother was not easy, since both Elizabeth and Emma left Thorverton. In 1851, Emma was in Bridgewater and Elizabeth in Bristol, living at 56 Wine Street, (Christ Church Parish) along with 11 other shop assistants; described as draper’s assistant, aged 21. In the same year she met Francis George Sternberg, who wrote the Valentines day poem to his ‘Fairest Lizzy’. They were married in Bristol Register Office on 6 February 1853. Her address at time of marriage was Peter Street, Bristol (Hospital Workhouse). Note that the marriage did not take place at Thorverton and that Lizzy’s father Thomas seems to have been absent, although a month later,when her sister Emma married William Clout in Thorverton, Thomas was a witness. Francis George and Lizzy had no less than ten children between 1854 and 1870, but two died in infancy. In 1860 the family was at Bradley Terrace in Wandsworth. Let my father’s words from 1993 tell a bit more of that story. Sadly the rest of Francis George’s life was not that long, since he died in 1869 at the age of 40 at 155, Sherlock Street, Birmingham, leaving Lizzy pregnant with their tenth child, Charles. ‘Death Certificate was received from H. Hawker, Coroner for Birmingham. Inquest, held 8th May 1888’. Coroner’s enquiry reveals (on the testimony of her daughter, Marion) that she had had a stroke nine years previously ‘which took the use of her left side, but she was able to get about the house daily and eat and drink well’. On Sunday 29th April she fell downstairs while on her way to bed. Her son, Francis George Sternberg, who had just retired to bed ‘ran downstairs and picked her up’. Dr Johnstone of Bath Row was sent for, came and attended to her until her death. She died on Friday 4th May 1888. Lizzy died intestate and a Grant of Administrationwas made on 20 June 1888. The value of her personal estate was £75, to William Sternberg, son. Photo album dedication to Marion Sternberg from Lizzy about 1887 "To My darling Marion, with her loving mothers prayers for her happiness, here and hereafter"
This is the dedication from Lizzy to her daughter Marion, probably for her 21st birthday in 1887. Lizzy died the following year. It is from this lovingly compiled photo album that I copied many of the portraits that I have used in the ‘Faces of History’ series. As an amateur family historian, I acknowledge with gratitude and thanks my Great Great Grandmother’s efforts. One of the things that I have found after several years of sorting through family history details is that it is very easy to overlook or even forget important items. There have been several instances where I have ‘discovered’ information, only to find that my father had already recorded it years before. Part of the problem is trying to find a format to make family history both readable and informative, but also accessible. With this in mind, this a more personal view of the faces, people and events from my earliest years, plus an attempt to revisit previous generations in a way that gives some insight into the lives, thoughts, hardships and successes of the people whose very existence led to my own and that of other members of my family. The internet has provided a ready medium for this in a way that has not been possible before. As I record each individual, I find that the very act of doing so makes me look more closely at details and often link together pieces of information from my own and other people’s investigations. Barrow, Bate, Brady, Bright, Brook, Brown, Burton, Callender, Downing, Freeman, Furnivall, Gadsby, Gornall, Gritten, Grove, Heath, Hussey, Jewkes, Kellan, Kurtzbauer, Leach, Loaring, Merricks, Mumford, Otzmann, Plucknett, Pugh, Reeve, Shaw, Smith, Squire, Sternberg, Sutton, Taylor, Tester, Thornton, Tootel (Tothill), Webb, Winchurch. This is therefore a fluid and expanding narrative, likely to be altered and added to as facts emerge and style and content change. Please keep reading, commenting and revisiting. When I was born on Sunday 27 September 1942, much of the ‘civilised’ world was at war. The Battle of Britain was more than two years in the past. The Americans had entered the war after the Japanese had been stupid enough to attack them at Pearl Harbor and the Soviet Union was engaged with Hitler’s Army in a war of bloody attrition at Stalingrad, with results that would influence not only the world at large, but more personally, my life and political thought as the decades followed. At the time that I was born, My father Francis Victor Winchurch ( Vic ) had been in the Royal Navy for eighteen months and did not see his first born son until Christmas of 1942, when I was three months old. Unusually, I also had three great grandparents to dote on this new arrival into war torn Britain. Elizabeth (Lizzie) Smith neé Gadsby, my mother’s mother’s mother. These three were, although I was not aware of it until years later, members of the generation that had been born at the pinnacle of the power and glory of Victorian England which about to be followed by an extended period of change lasting well into the twentieth century. It occured to me only a few years ago, that my grandfather, Percy Winchurch was in most respects a ‘modern man’. He had at the time of his death in 1953, his own business, car, house with gadgets including a vacuum cleaner and TV. By contrast, his grandfather, Thomas Winchurch was born in 1787 and had few belongings throughout his life. The lives of those four generations, including my own, represent a phenominal change in industrial society in general and Britain in particular. Who was Thomas Plucknett ? The Faces of History-The German Sternbergs. Contributed by Stan Bruce.